The St Mark's Clocktower is built over the archway which is the main gateway into the Piazza San Marco (St Mark's Square). 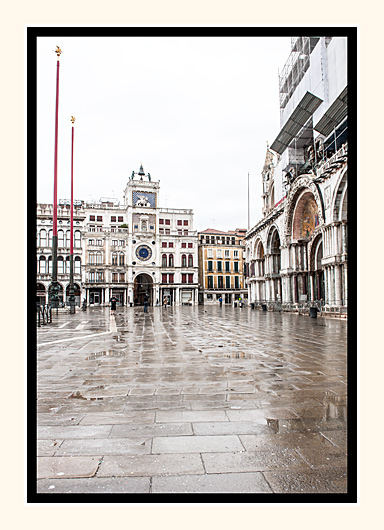 It looks over the square and out to the Lagoon to show everyone the wealth and glory of Venice. This is no1 of 3 photos of the St Mark's Clocktower.